Past the new bosses, more faces have been added to the game, as well as different items for sale in the shop. This means if you have to wait for your co-op partners to hop back into the happiest battle with you, you can update your face while you wait. Along with these updates tweaks have been made to the damage done in game, but is that really as exciting as new faces? Co-op players look out! 4 new boss enemies are here and ready to take you on! Each boss has their own unique behaviors and powers, making them incredibly dangerous. These bosses only appear when certain conditions are met, so you’ll need to vary the way you play to see them all! While the rest of the blog can be found here due to the plan to close down Happy Wars on Xbox 360 and Windows 10, this update will not be coming to those platforms. Will you be updating the game and fighting some new bosses with new faces and old friends? 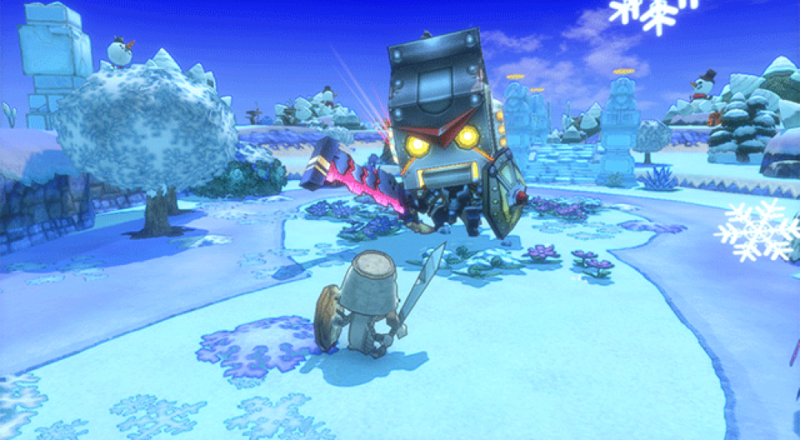 Or has Happy Wars lost its charm now that it will be limited to Xbox One? Let us know in the comments below!